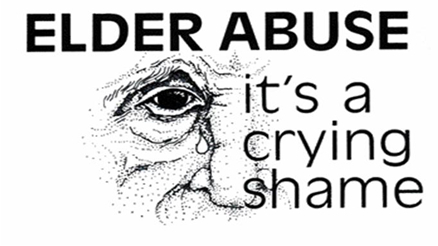 Eighth blog (extra) post of series on Elder Law for seniors and their families, particularly spouses, adult children, caregivers, etc..
Now that you have an idea what elder abuse means in theory, it might surprise you to know that some people think that it’s not much of a problem. Of course, they’re wrong. To these people, I say: “Yes, Virginia, elder abuse can be very problematic.” Indeed, elder abuse behavior can be hugely hurtful and also give rise to severe legal troubles. To prove my point, hereinafter are several big name cases that hit the headlines in the United States. 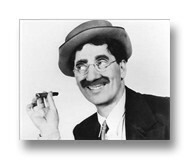 In the 1930s, Groucho Marx was an American comedian, writer, and actor. He was part of the vaudeville act known as the “Marx Brothers”, whose comedy was later featured in motion pictures. In the fifties through to 1961, he was the host of the television quiz show “You Bet Your Life”. 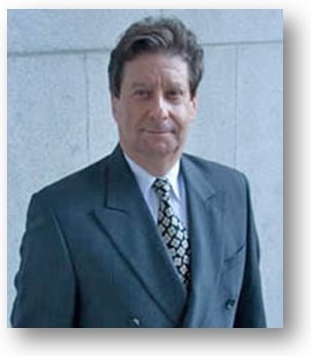 In his later years, he was a frequent guest on television talk shows. He died in 1977 at age of 86. His net worth was then about $12 million. Casey Kasem was an actor, voice talent on a cartoon show, disc jockey who Counts Down 70’s & 80’s Hits. He was also an announcer- host on the Jerry Lewis Telethon. On June 15, 2014, Kasem died at the age of 82 in Gig Harbor, Washington. His net worth was about 80 million dollars. However, in later life, some people called Kasem, a victim of elder abuse. Indeed, he had an awful time of it in the year before he died. You see, there was a major dispute relative to his care. On one hand, there was his then wife, Jean Thompson and on the other, were his daughter Kerri Kasem and her sister (from a prior marriage). They insisted on visiting Kasem in the nursing home where he was then residing; but there was push back from Thompson. Finally, on getting access, they found him “doing fairly well and in good spirits, despite his confusion, memory loss, and trouble speaking.” But then Kasem went missing. And Thompson also failed to attend a court hearing about Kasem ‘s care. It turned out that Thompson had secretly had Kasem moved. Given her father’s unexplained whereabouts, Kerri was granted legal authority (through a conservatorship) to make his medical and other decisions. Needing to locate her father, Kerri Kasem reached out to authorities, and Kasem was ultimately found with friends in the State of Washington. Thompson’s bizarre explanation was that it was a “vacation”. Once he was hospitalized, Kasem was found to have “serious bed sores and infections in his lungs and bladder.” Due to these circumstances, it appeared that Kasem would not survive and instead of continuing efforts and striving to keep him alive (and suffering), Kerri Kasem gave permission for comfort care to be provided. The position of Kerri Kasem was more or less as follows: (a) That these conditions were preventable /treatable with proper care in a good nursing home. (b) That these maladies can potentially be fatal to someone of Kasem’s condition and advanced age (82). (c) That if Kasem had remained in the nursing home, the bed sores and infections could have been prevented, or at least, been properly treated on a timely basis, and this medical care might have resulted in a better outcome. (d) That as a result, Thompson’s acts and/or omissions were seen by the family as having caused the terminal condition. The foregoing was part of the reason that the legal saga didn’t end with the death of Kasem. Next, a judge granted Kerri Kasem, a temporary restraining order to prevent Thompson from cremating the body and allow an autopsy to be performed. However, on delivering the order to the funeral home, Kerri Kasem was told that at the request of Thompson, the body had been moved out of the country to a funeral home in Canada. It’s noteworthy that it took Thompson, more than six months after the demise of Kasem, to have him buried in Oslo Norway.